Summer is all about slowing down and spending time with family and friends. Cookouts reign supreme during this sweltering season, but sometimes, parties are more formal. And what better than a classy craft cocktail for your more intimate dinner parties. 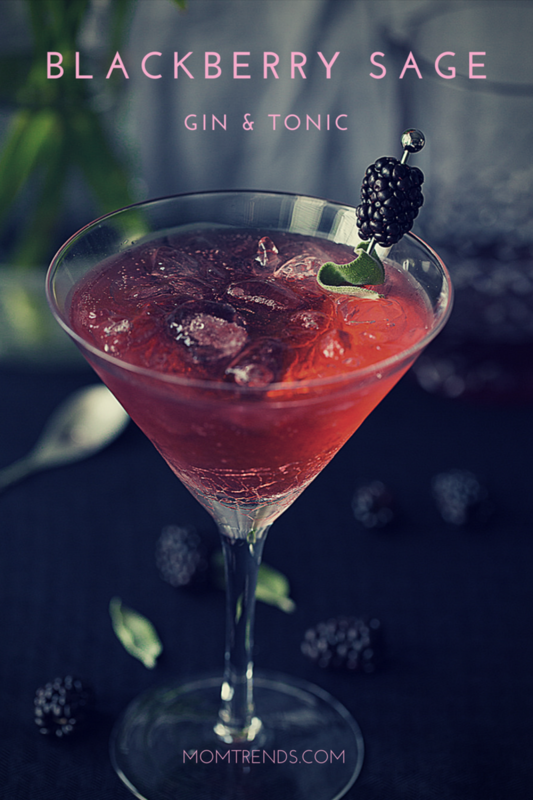 This blackberry sage gin and tonic is the perfect aperitif for your adult gatherings. 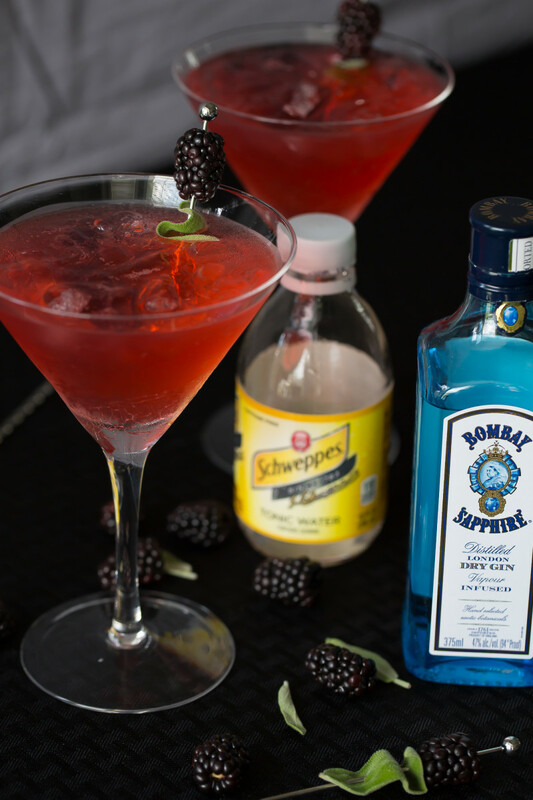 Of course, you don&apos;t have to schedule an upscale evening to enjoy this fresh and flavorful cocktail. An intimate evening sharing a special dinner with your spouse or loved one is also the perfect reason to break out this gin and tonic. Birthday dinners and even the rare but coveted date nights are great reasons to whip up this gorgeous pink bubbly cocktail. Date nights are hard to come by once kids enter the picture, so I try to go out of my way to make decadent meals and special drinks for my husband and me to enjoy once the kids are asleep. An evening like this provides the illusion of an upscale restaurant in the comfort of home. My idea of a perfect evening! Ready to give this gem a try? 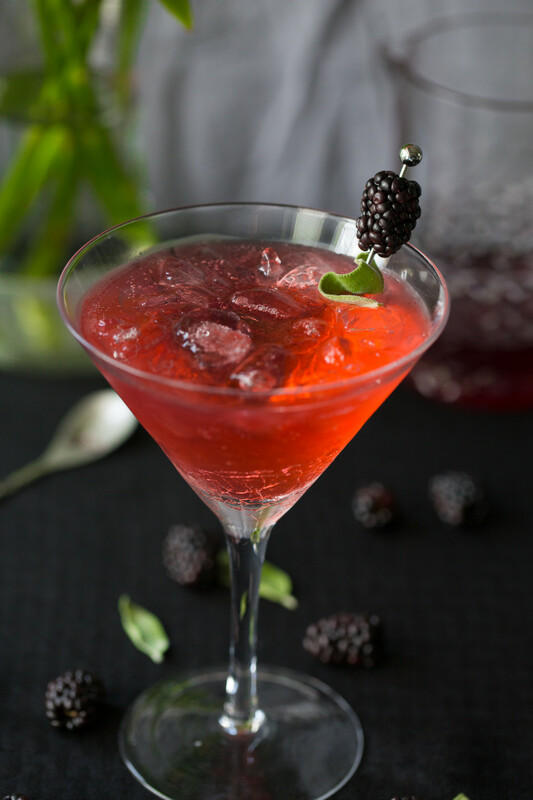 First, you need to make the blackberry sage simple syrup. 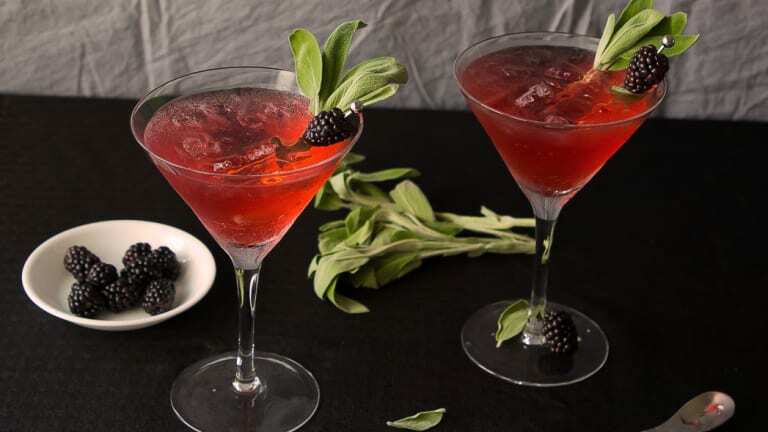 This syrup is made from fresh blackberries, fresh sage leaves, sugar, and water. You can make this syrup the day before and store it in the refrigerator until it&apos;s needed. Once the syrup is made, all you need is tonic water and your favorite gin. Voila. Easy peasy but oh-so-elegant looking. Combine all the ingredients in a small saucepan and bring to a boil. Simmer for 10 minutes and remove from heat. Allow to cool and transfer to an airtight container. Store in the refrigerator. The syrup will keep for 1 week in the refrigerator. Fill a martini glass with ice. Add gin and stir. Add simple syrup and stir. Top off with the tonic water. Stir, serve, and enjoy.